Take your next step with us. 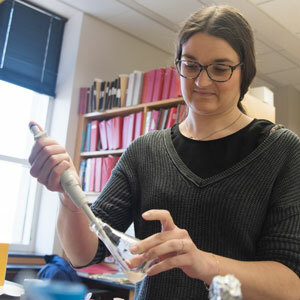 The Department of Biochemistry at the University of Wisconsin–Madison hosts a thriving community of postdoctoral scholars that is a highly-valued component of the research that takes place here. These scientists get the opportunity to pursue independent research and gain experience mentoring graduate and undergraduate students. Along with department resources, UW–Madison as a whole has a wide expanse of support systems to aid postdocs in getting the most out of their experience and planning out their next career decision.